Join Master Teacher Baba Richard Gonzalez in this series that melds modern dance with the flavor of Afro-Caribbean and African-American dance styles. Classes begin with a classic modern warm up to enhance dancers’ technique then moves into dance phrases that encompass more traditional movement. In the last section dancers apply the techniques and approaches learned throughout class to execute an explosive dance that weaves modern dance language with Afro-Caribbean and African-American elements. Through the skills learned from this esteemed educator, students will be able to delve full throttle into a dance full of FLAVA!! 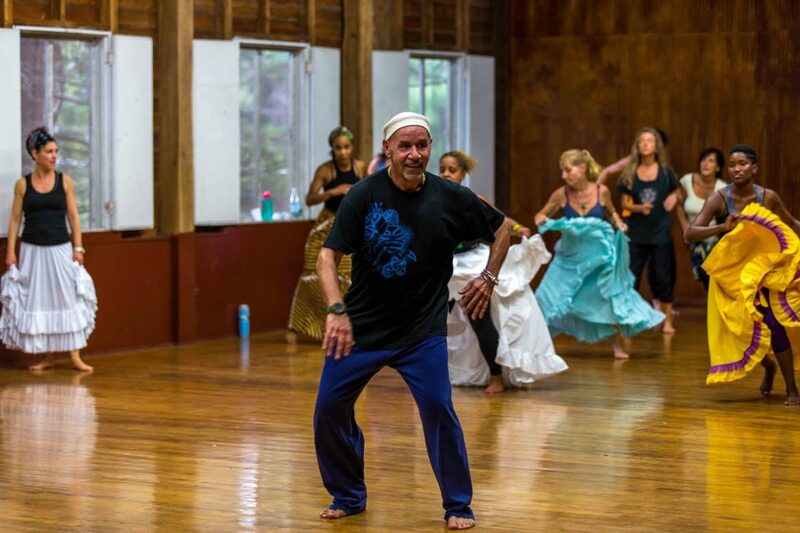 Baba Richard González, an interpreter, choreographer, musician and performer, is nationally recognized as a master teacher of Afro-Caribbean and contemporary dance. His commitment to the rich traditions of the Caribbean has fueled his passion to document Afro-Caribbean dances and insure their preservation through performing and teaching. Gonzalez has dedicated his artistic life teaching African Caribbean heritage. In 1996-1998, Hostos College presented Gonzalez with the “New York City Ethnic Dance Award” for his continued contributions to dance and educational communities throughout the United States and in the Caribbean. In 2005, NYC students and teachers honored him with “The Outstanding Achievement Award” in recognition for his commitment, excellence and leadership as a master teacher and for the advancement of dance, drum and music. In 2008, The New York Post features Gonzalez’s dance classes as “One of the most popular classes in New York City.” In 2014, Tulane University and Kumbuka Dance Collective presented Gonzalez the Spirit Award in appreciation for his untiring devotion to the Creator, Ancestors and Orisha. He was also recognized for his commitment to the spiritual and cultural preservation of dance in the city of New Orleans.